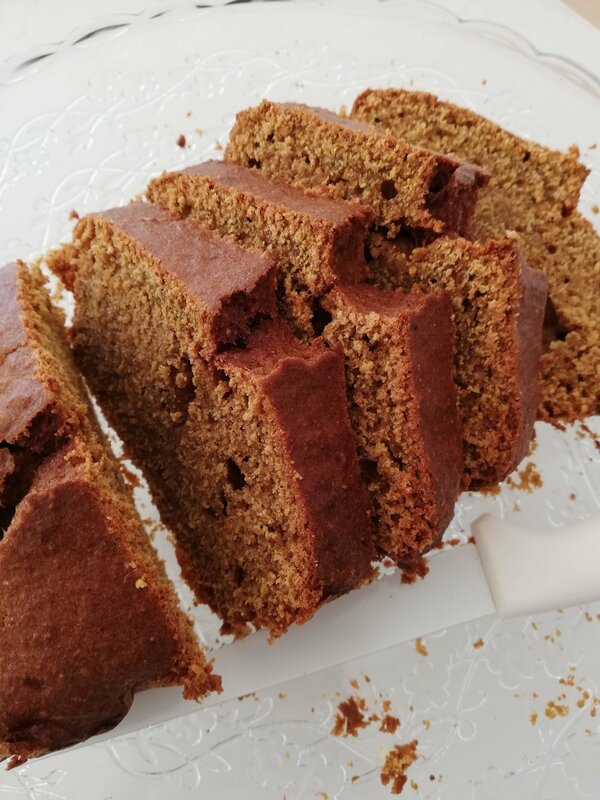 Low Glycemic Index Pumpkin Bread-The fit sisters. I’m not going to bore you with too much introduction and stories about the recipe. I know I never read the whole article, I just want the recipe. I find it a bit strange that even well-known bloggers write long posts before giving away the recipe details. I mean, it’s a recipe article, a recipe title, that’s why people click on it. So here are the ingredients and instructions for making this moist, I-can’t-stop-slicing-this cake. Preheat oven at 170 °C. Cut a small pumpkin in half, remove seeds and pulp, place the cut side halves down on baking paper and bake for 50’ to 60’. When ready and tender, scoop the flesh and use a blender to make the pumpkin puree’. Mix well all liquid together in one bowl: sugar, eggs, oil, pumpkin puree’. Add slowly the rest: flour, baking soda and powder, nutmeg, cinnamon, salt. Mix well but not for too long, just until you have a nice batter. Pour the batter in a loaf tin. The one I used was 23 x 13 cm. Bake away for 50’ or until the inside is baked-try the toothpick way if you’re not sure. One of the easiest recipes (it helps that we use oil instead of butter so no need for a mixer). It smells autumn and it’s delicious with salty or sweet spreads, peanut butter, fresh fruit, jams, compote, any type of cheese.